The East Bay is full of small rural enclaves that are like peering into the past. One of these small towns is Sunol. Sunol is located along Niles Canyon and is famous for it’s railway station. The Niles Canyon Railway depot was built in 1884 and was a stop that made the town what it was. Of course there are other attractions including the incredible Elliston Vineyards. Offering both delicious wines and a pristine destination for weddings. The Cypress and Palm Golf Course is a East Bay destination for golfers of all skill levels. Of course like the rest of the Bay Area Sunol has a beautiful natural setting. For one, the Sunol Regional Wilderness has great trails for hiking, horseback riding and mountain biking. It is also a destination for camping and rock climbing. There is also the Niles Canyon Road which is an incredible, must see, scenic route that runs from Sunol to Fremont. At Apex Limousine Transportation we are proud and excited to offer all of our limo services to residents and visitors of Sunol. Sunol has emerged as a destination for weddings. At Apex we offer full limousine wedding day services. Our fleet of luxury limo vehicles are able to provide transportation for weddings of all sizes. We have SUVs, sedans and of course limousines that are all fitted with luxurious interiors and always driven by professional limo drivers. We work directly with the wedding planners to ensure that every single step of the way, as far as transportation is concerned, meets your needs. We go out of our way to make your wedding day as smooth as possible so you can focus one what really matters. For those who are visiting the Bay Area we offer services to Sunol or through Sunol so that you can really see what an authentic rural Bay Area town looks like. While of course the hustle and bustle of San Francisco is exciting there is something unique and interesting about the hidden treasures of the Bay Area like the town of Sunol. 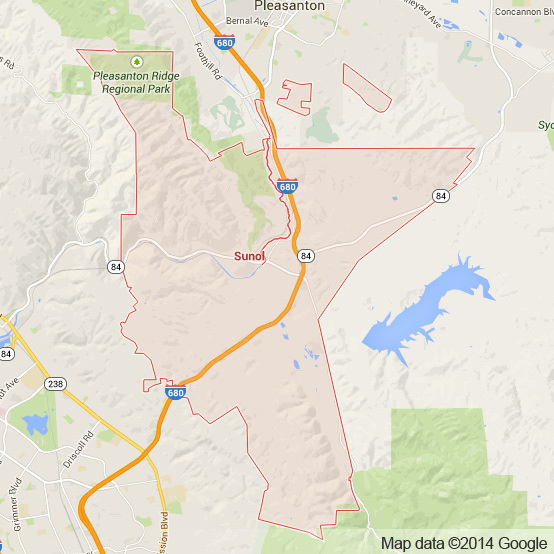 For those residents of Sunol looking to explore the rest of the Bay Area we offer full limo services to you. Whether you need a limousine for a night out in Oakland, need a pick up at SFO or want to make the next Warriors basketball game just a little more luxurious our limo services are available for all kinds of events. We also specialize in taking residents of Sunol to the Napa Valley for comprehensive winery tours. Our knowledge of the Napa Valley allow us to work directly with you to personalize and customize an exciting itinerary for your Napa Valley Winery adventure. With so many restaurants and wineries to choose from we know how difficult exploring the Napa Valley can be. So we take into consideration your tastes and interests and bring you and your party to the best possible wineries and restaurants. We are regarded as Northern California’s premier luxury transportation provider. Our large and ever increasing base of clients is testament to the quality and consistency of our limousine services. We guarantee to provide you, every single time, with a memory and experience you will never forget. So please the next time you want to travel in luxury give Apex a call. We promise you wont regret it! Please call us for car service all inclusive total for Sunol to/from Napa Valley transfer.